A couple of months ago, I reported that Scott Walker had politically appointed a couple of cronies - Rebecca Bradley and James Troupis - to the bench even though neither one was really qualified for the position. Gov. Scott Walker said Friday that he had appointed his chief legal counsel to fill a vacancy on the state appeals court. 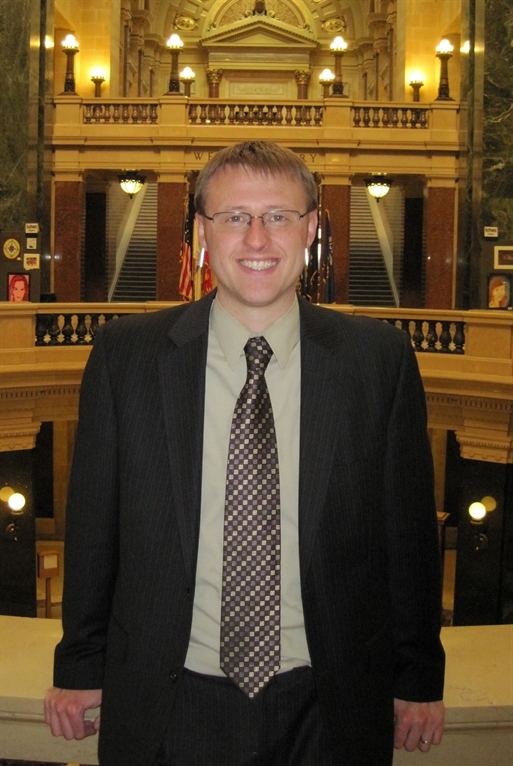 Brian Hagedorn, a former clerk to Supreme Court Justice Michael Gableman, will take the $139,059-a-year position in the District 2 Court of Appeals in Waukesha. He replaces Judge Richard Brown, who is retiring August 1 after 37 years on the bench. "Brian Hagedorn is a person of integrity who has a deep commitment to service and a passion for the rule of law," Walker said. "Brian has been a great asset during a transformative time in Wisconsin history, as we worked to bring big, bold reform to the state." In case you missed it, Hagedorn was appointed to be an appellate court judge even though he has never been a judge. In fact, Hagedorn has precious little in the way of experience. 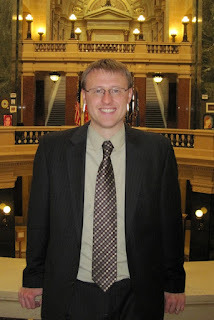 Before he was Walker's legal mouthpiece, he worked at a right wing law firm and a member of the Federalist Society. Then again, in Walker's eyes, Hagedorn's greatest achievement probably was sabotaging the John Doe investigation into Walker and his illegal collaboration with dark money groups. It should be noted that Hagedorn being appointed to the appellate court in Waukesha County (or Walkersha County, if you will) is no matter of chance either. Waukesha County is where Walker's campaign is headquartered and where Walker likes to go judge shopping when he is in trouble for his misdeeds, either political or as governor. Never a judge before becoming a judge? That fits a lot of people, including Shirley Abrahamson. I could say "you first" but I'll bite: Shirley taught law while Hagedorn practiced law. Fair enough. (BTW: Foley and Lardner is "a right wing law firm?" That would be news to Jim Doyle pal David Walsh. Awwww little Davie...you seem to have left some stuff out. Want to try again? Should I define compare and contrast for you first? David, given the company you keep, the fact that you're comfortable and at home with such corruption is not surprising to anyone. Please, just please, stop embarrassing yourself. That's the most intelligent comment you ever made. Elena Kagan was never a judge until she was appointed to the SCOTUS. What is your point, Crapper ? Solicitor General of the US, which Elena Kagan was, is not the same thing as [Walker's own] chief legal counsel, which Brian Hagedorn was. And now Walker has yet another personal ally in the position of a judge able to make judicial decisions for his benefit. Isn't that just cozy? No, and a state appellate court is not the same thing as the U.S. Supreme Court. BTW: are you REALLY saying Jim Doyle (or, for that matter, Barack Obama) don't appoint political allies? Bill Clinton appointed his associate counsel, Elena Kagen, to the federal appeals court. She is now on the Supremes. Cozy, eh? ... "Knotzies!" LOL! You guys! Notice how the knotzies refuse to touch the real issues of cronyism and corruption? Sure do. It's like theyre too weak or too paid off to admit what's obvious to others. The Walker boys are clearly feeling the heat, and trying any step they can to build layers of insulation from what's coming.